Imdb Touch is a free Windows 8 movie database app; available in the Entertainment category of Windows Store. This app can be used just like IMDb (Internet Movie Database) website. This app shows movie reviews, TV Shows, Celebrities bio, and much more. Also find showtimes, news, etc. and all you need is an internet connection. 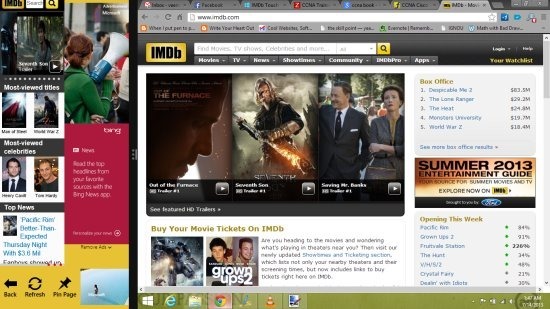 So, let’s check out more details about IMDb app for Windows 8. 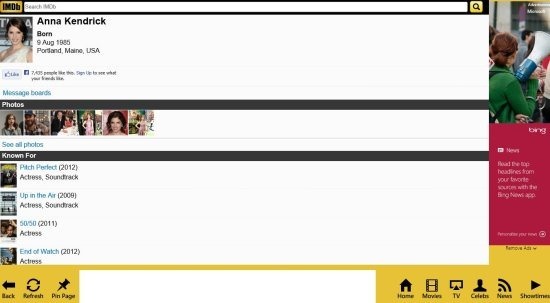 IMDb Touch is almost an exact replica of IMDb website. You will feel as if you are using the webpage in an App. When you first install and start the app, it will ask for free or paid to avoid ads. Go for free as there are not so many ads like other IMDb apps that we checked in the Windows Store. The app interface also is easy to use. Let’s see what does the interface have. The homepage shows trailers, celebrities, etc. Below there are buttons like: back, refresh, pin page, home, movies, TV, celebs, news, and showtimes. Back: The back button guides you to the previous page you browsed on this app. Refresh: As the name suggests, it’s used to refresh the page. Pin Page: This button is for keeping a reminder. Home: This option is for navigating you to home page of IMDb. Movies: This page is for browsing through movies and their updates. TV: In this you can view details and ratings of various TV shows. Celebs: IN this section, you can view bio of actors, the movies or shows they have done; from all around the world. News: This section shows the news about movies and latest happenings in media and entertainment. Showtimes: This shows the movies playing in your neighborhood. 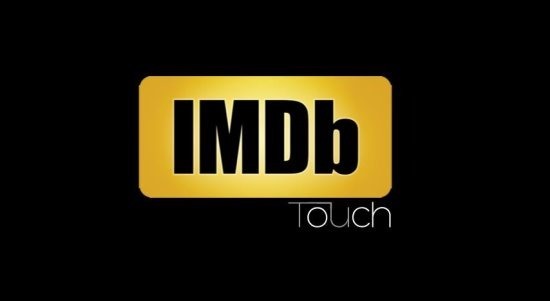 IMDb Touch app is free. Keep yourself updated with news and details about movies, TV shows, etc. Locate showtimes nearby at a theater. Pin your favorite pages and share them using Windows integration options. Use the app in Snap mode too. Use this link to navigate to Windows Store Page and then click on view in Windows Store button. From there install the app and start using IMDb on your Windows 8 devices. Also try Movies Night or Movie Mania app to view various movies and theatres near you.